Good evening crafty friends! I hope y'all have had a great weekend! is gloomy and cold. I'ts amazing how OK's weather changes so much. The saying "If you don't like the weather, just wait a minute"
made a card following the February week 2 sketch from Viva la Verve. How fabulous! 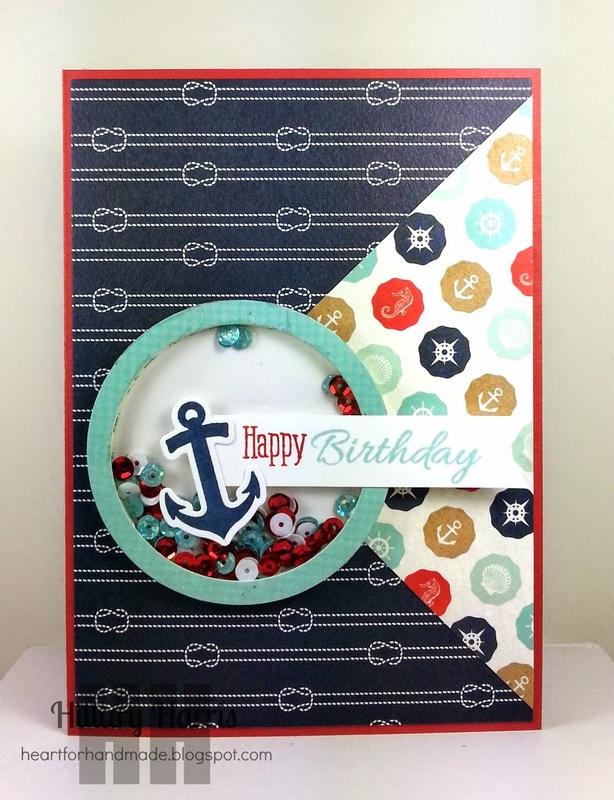 Love that shaker and the sweet little anchor. Thanks for playing along with VLV! I LOVE this, Hillary! This is absolutely ADORABLE!! Love the shaker!